PonoPlayer is purposely designed to do one thing better than other mobile options in the market: play high quality music as close as possible to the original recorded resolution. No more relying on the expensive gear you have at home to satisfy your audiophile listening needs — you can get your hi-fi fix practically anywhere with this thing in tow. Shaped like a thicker Toblerone (5 x 2 x 1 inches, h x w x d), the PonoPlayer comes with an onboard color touchscreen display, along with a trio of physical buttons for power and playback controls. The shape allows it to be set down either standing upright or on its side, making it easy to find space for, whether in the car, at home, or on your work desk. It comes with 64GB of onboard storage as well as an SD card slot that can accommodate another 64GB (together, that’s good for 100 to 500 hi-fidelity albums, depending on length and resolution), which you can load up with songs by connecting to a computer via USB. There’s no onboard speaker, though, so you’ll have to hook up your own set of speakers or headphones (it has a standard headphone jack and an analog mini-plug jack). 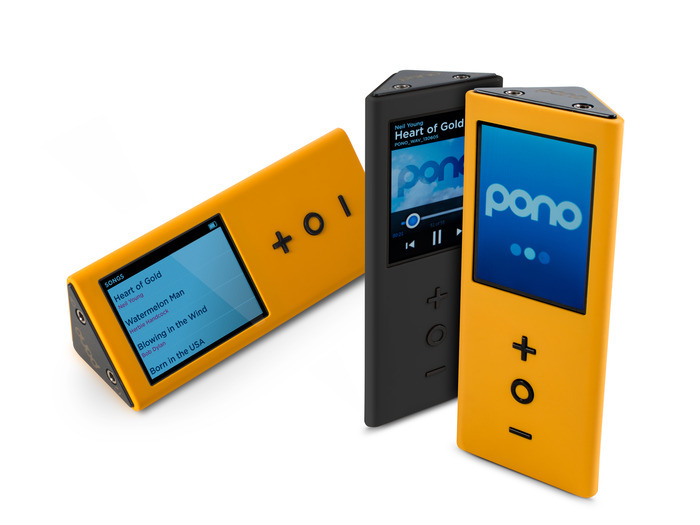 More than a music player, it comes with a full end-to-end system called PonoMusic, a service where you can purchase the highest-resolution music available. Kinda like iTunes, but with a library restricted to high-quality tracks. 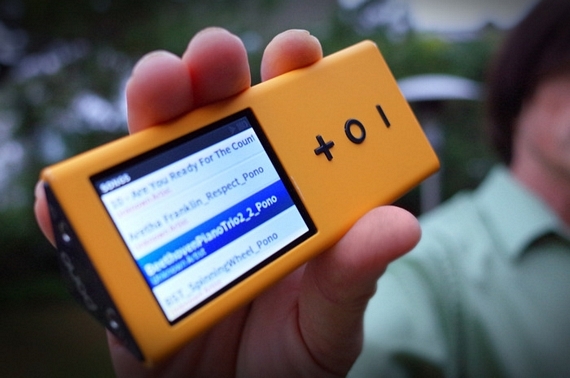 Pono Player is currently collecting preorders on Kickstarter.